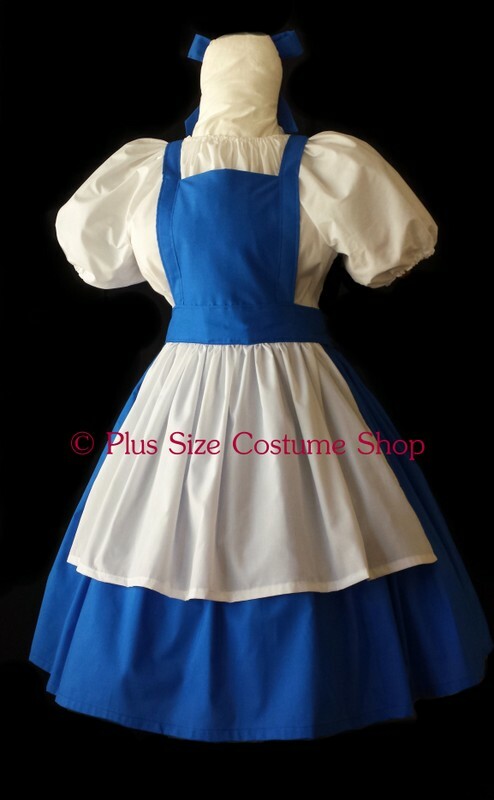 Our Belle costume is a very easy-to-fit and figure-flattering costume. The peasant shirt is made of white cotton. It has elastic in the neckline and sleeves for a comfortable fit. You may choose short-sleeves (standard) or long-sleeves. The skirt is made of blue cotton. The skirt has an elastic waist for comfort. The skirt will be hemmed at 36" in length (approximately ankle to floor length on someone of average height) unless a specific shorter or longer length is requested. 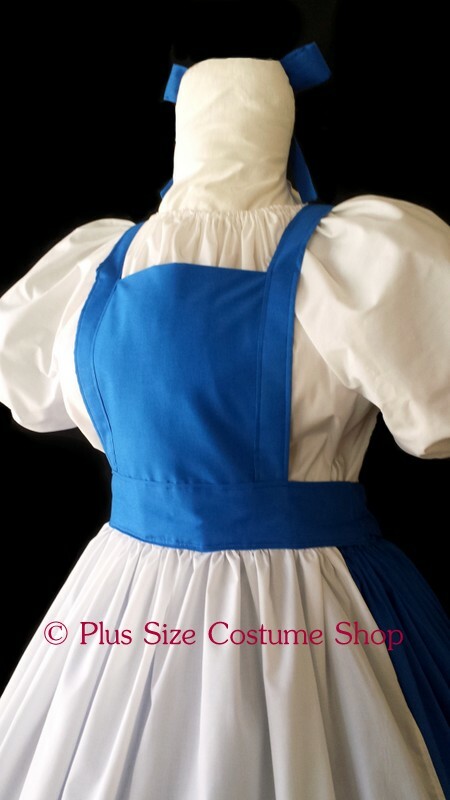 The apron is made of white cotton and has an attached blue cotton bib, giving the illusion of being a blue dress underneath the apron. The bib tucks into the back of the skirt and the apron ties around the waist in a bow. Also included is a blue cotton hair bow. This costume comes in average length. If you are tall or short, please submit a skirt length measurement (from waist to bottom hem) at the time of order or within 24 hours of placing your order (via e-mail).